Awesome apps are the ones which both serve their purpose and have a very convenient and user-friendly design. The problem is that many app makers now forget about one of the most important things -DESIGN and that’s why their apps are not successful. However we can’t also deny that there are some apps that we just use because of their perfect design. Today, in this article, you can check out the 10 iOS apps that are very inspiring and have very powerful design. Sometimes, calendar app makers want to differentiate their apps so much, that they end up with difficult and boring apps. However, Peek Calendar is just a beautiful and convenient way of scheduling your days. It both provides a unique and inspiring interface and both keeps things easy, so the users are not confused. 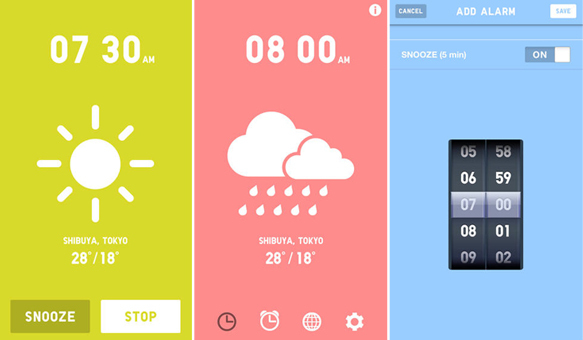 UNIQLO is a new alarm app, that wakes you up with the help of music. The unique thing here is that it changes the music depending on the weather. For example if it rains , your wake up music is somber, or if it shines, the wake up music is happier. In addition, it tells the time, date and weather and has different language variants. If you love singing this app is right for you! The app includes some songs and multiple effects, so you are able to create a remix of the desired song. 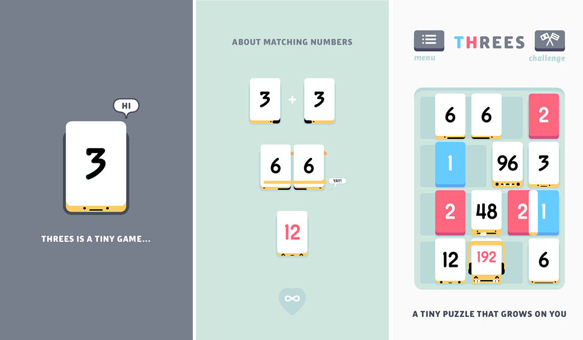 Threes is an awesome math puzzle game. The purpose is for you to come up with 3 ways of adding number 3. You need to add up, down, left or right cards to create multiples of three. The game ends when you are done with the cards. If you read news all day long, I think that this is the right app you should use. This is a news app, that collects different news stories from Google News and gathers these stories in ten different categories, for example France news, music and culture. Moreover, you are able to tap each headline to see a five-sentence summary, instead of reading the whole article. 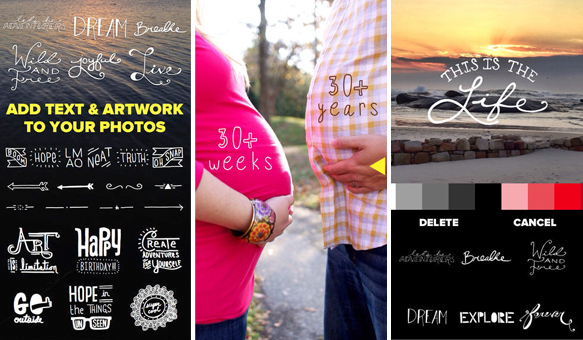 If you are an Instagram lover or graphic designer, Over is a an app that you should use.. You can design new photos using the images that are located in your phone. You can edit colors, add some texts and share your unique images. Harmony is a puzzle game that pleases your eyes, pleases your ears with music and challenges your brain. All you need to do is collect blocks depending on their color in order to create harmony. In the easier levels you have about 3 colors, but in difficult levels there are about 10 colors. Yummly is for the ones who loves cooking. 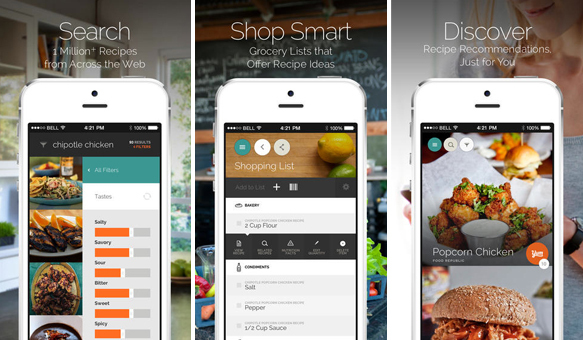 In this app you can search for many recipes, based on your preferences or diet. After you find a recipe you want, Yummly creates a list of ingredients that are needed for that dish and tells you how long it will take from you make the dish. 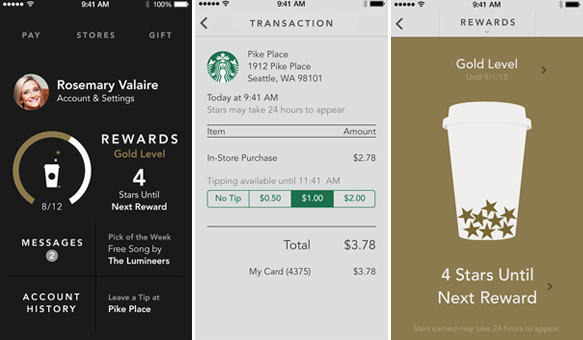 Starbucks updated its app, and now you are able to access your information, like rewards, downloads or history just in one screen. Moreover, the app hints you where is the nearest Starbucks around you. 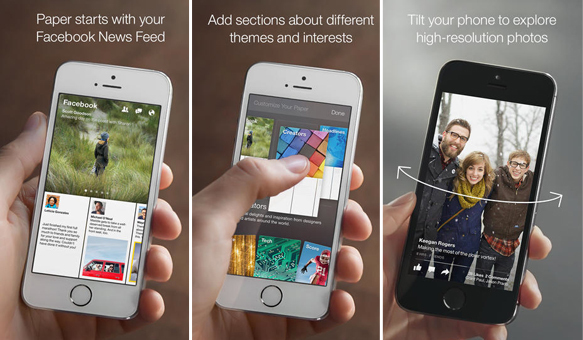 So here are 10 apps that are both very useful and well-designed. Do you have others in your mind? Share with us in the comments below.